Our Family continues to smash the ratings, taking the top spot! 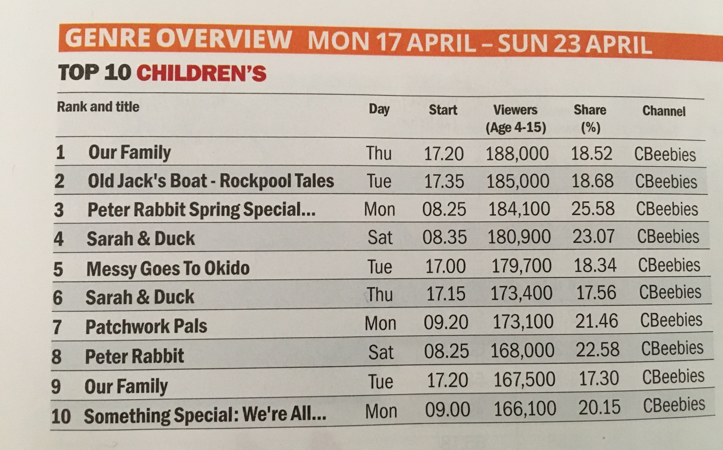 According to Broadcast, we’re the number 1 Children’s show in the UK across all channels. Missed the show? Take a look at them on the CBeebies iPlayer. Thanks to everyone involved in making the programme an ongoing success.